3 Bedroom Semi Detached House For Sale in Wigan for Asking Price £169,950. 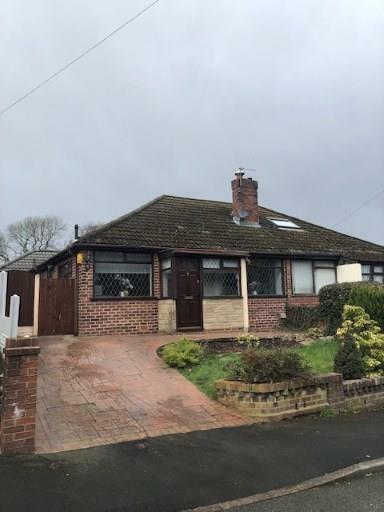 This beautifully presented three bedroom semi detached bungalow situated in Standish is ideal for a range of home buyers and viewing is highly recommended. The property has a lot to offer and comprises of Entrance hallway, Porch, Lounge/Dining room, Kitchen, Three bedrooms, bathroom and a conservatory. To the rear of the property is a generous sized garden which is westerly facing. To the front of the property is a driveway and a paved patio area. Positioned in a highly demanded semi rural area in this quite and mature development. Early inspections are absolutely essential to fully appreciate this property. Double glazed hardwood door. Leaded window to the front. Radiator. Radiator. Leaded windows to the front. Inset decorative fire. Coved ceiling. Archway to dining room. Double glazed leaded window to front and side. Radiator. Range of wall and base units with complimentary work services. Stainless steel sink and drainer. Double oven and grill. Tiled floor. Hardwood door to the side of property. Double glazed window to front. Fitted wardrobes. Fitted wardrobes. Double glazed window . Radiator. Double glazed window to the side. Built in overhead cupboards. Radiator. Three piece suite in white. Radiator. Double glazed frosted window to side. Radiator.